General dentistry is the cornerstone of our dental practice, as it ensures that our patients can enjoy a lifetime of healthy smiles. Using state-of-the-art technology and advanced techniques, we prevent, diagnose, and treat a wide range of dental conditions before they result in permanent damage to a smile. From routine checkups and thorough cleanings to gum disease treatment, TMJ therapy, and everything in between, Dr. Wagner and our team offer general dental services designed to optimize your oral health and improve your quality of life. Keeping teeth strong, functional, and decay-free is important for patients of all ages, and our team offers several services that can help provide further protection, including fluoride treatment. Fluoride is a mineral that’s regularly added to municipal water supplies because of the rejuvenating effects studies have shown it to have on oral health – in fact, a majority of patients who drink fluoridated water on a regular basis tend to have tougher, less cavity-prone teeth overall. If our team determines that you’re not receiving enough fluoride in your regular diet, a professional application can give your smile the healthy boost it needs. At the office of Scott Wagner, DMD, we believe that our patients deserve only the best in comfort, care, and technology. We know that breakthroughs in modern science have greatly enhanced general dental visits, and we work every day to pass these benefits on to our patients. In order to achieve this, Dr. Wagner has invested in state-of-the-art instruments that improve diagnostics, comfort, and efficiency. With the VELscope oral cancer screening, a fluorescent light illuminates abnormal tissue and contributes to an accurate diagnosis. To detect TMJ issues, we employ a K-7 evaluation system. This revolutionary machine analyzes jaw movement and identifies the extent of the damage. 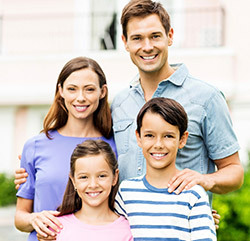 As your general dentist, Dr. Wagner is committed to resolving underlying issues and giving you a healthy, functional smile that looks as great as it feels. More often than not, dental conditions affect more than just your oral health. For example, sleep apnea has been linked to memory loss and premature death. Recent studies have shown that patients with gum disease are twice as likely to develop serious health conditions, including heart disease, Alzheimer’s disease, pancreatic cancer, osteoporosis, respiratory illnesses, and type 2 diabetes. Through comprehensive general dentistry, we can ensure that your mouth – the gateway to the rest of your body – remains healthy and disease-free. Should your gums succumb to gum disease or decay, Dr. Wagner will formulate a treatment plan that addresses your unique issues and restores your mouth to optimal health. Attending routine oral examinations and hygiene appointments with a trusted dental team every six months (or twice each year) is every patient’s best line of defense against oral health concerns. 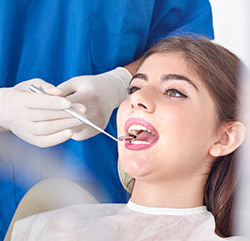 During these visits, Dr. Wagner and the rest of our staff members will perform a comprehensive assessment of your teeth, gums, bite, existing restorative work, and more in order to identify any existing damage and current risk factors. Additionally, an in-depth cleaning will remove decay-causing plaque and tartar from the mouth, leaving your smile refreshed. 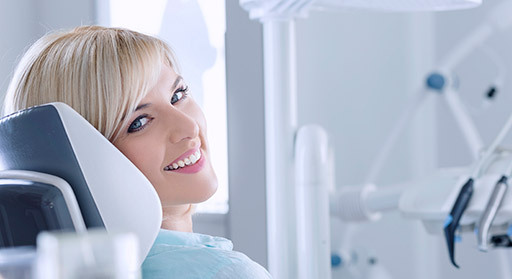 We enjoy helping our patients minimize their overall risk of experiencing dental decay whenever possible, and professional fluoride treatment can go quite ways in helping with that all-too-important goal. Fluoride is a natural mineral that is regularly incorporated into municipal water supplies because of its valuable oral health benefits. In fact, countless research shows that patients who grow up drinking fluoridated water are likely to have stronger tooth enamel and fewer instances of cavities when compared to their counterparts. If our doctors and team members determine that you’re not receiving an adequate amount of fluoride exposure in your day-to-day life, professional applications can be provided for your benefit. The American Cancer Society recommends that patients of all ages should have at least one oral cancer screening a year, as early detection is the best indicator for successful treatment. 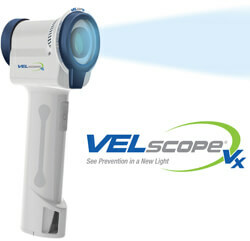 We can perform one during your regular dental checkup, and we’ll use the VELscope light when we do. It can reveal potentially cancerous cells that would normally be invisible to the naked eye, enabling us to detect the disease even sooner.